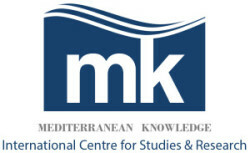 The Centre shall be a permanent platform of cooperation, experimentation and transfer among researchers and local stakeholders, promoting the creation and improvement of methodological action-research objectives, in order to strengthen the development of territorial and European identities, guaranteeing the specific peculiarities and differences, starting from the cultural heritages of the Mediterranean Basin. Fundamentals: the concept of knowledge; concept of culture, development and protection of cultural heritage; identity and recognition; migration; territorial politics of sustainability; tools for policy analysis; information and communication in the circulation of knowledge. Tools: conceptualization and production of indicators for the development and dissemination of knowledge; tools for the sharing of information in the network; tool boxes for concept analysis and evaluation. Governance: governance for the development of cultural heritage; systems analysis of territorial governance and the stakeholders involved; methods and tools for the achievement of shared decisions. Resilience: the ability of social groups and territories to respond positively to change, facing opposition effectively and giving a new impetus in the future. Culture: the cultural dimension as a driver for sustainable development and the development of identity.